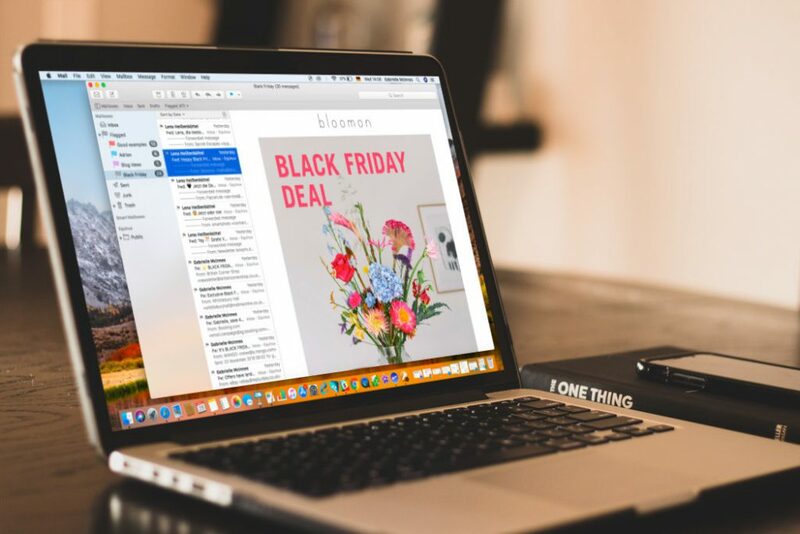 We collected a representative sample of the promotional emails sent to us by businesses over the Black Friday weekend (between Thursday 22nd and Monday 26th November.) Emails from multiple sectors including clothing & accessories, software & apps, beauty, travel, and gifts were used for our sample to help us find out more about which methods businesses had opted to use in their promotions. What were the offers like? We first wanted to analyse the extent of the promotions being carried out over the weekend. Where many choose specific products to promote, there are some businesses who go all out and offer a discount across their entire product range. From our sample, 40% of businesses were offering discounts on all of their products. 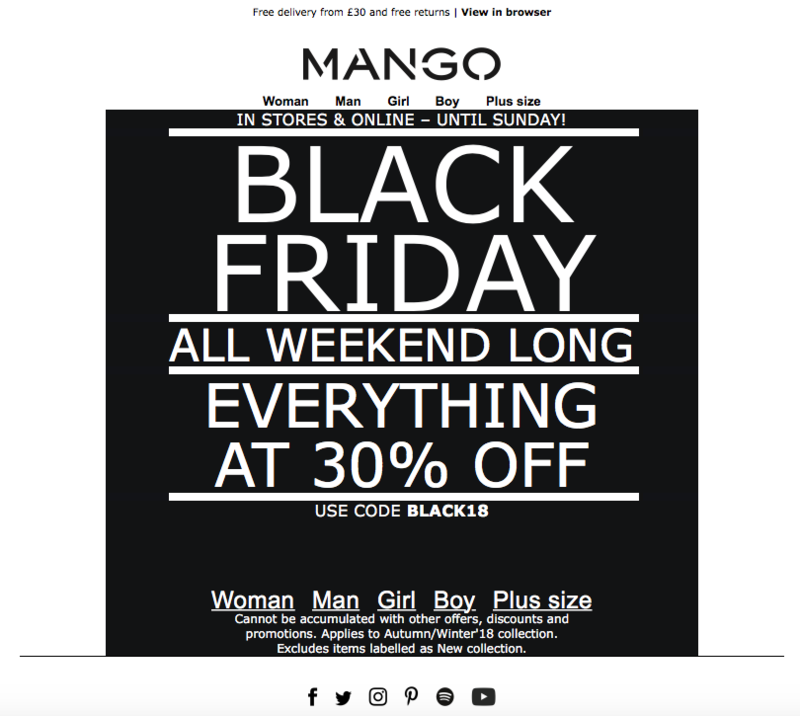 Many brands, including Mango, were offering discounts on everything. Not many firms chose to use a GIF this year, but those who did, rocked! Interestingly, we also noticed that only 46% of businesses in our sample chose to include the term “Black Friday” in their subject line. We expected this number to be a lot higher, so it would be interesting to see what effect this had on their open rates. 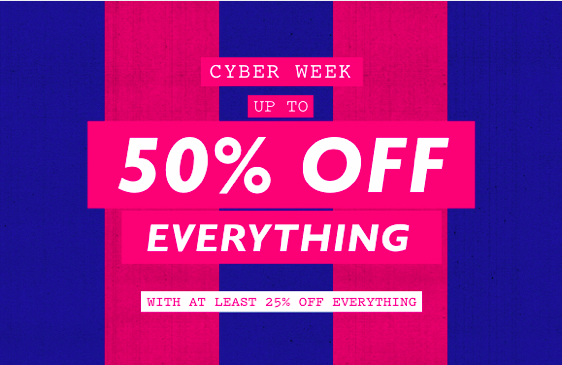 Jack Wills was among the businesses who created a dedicated Black Friday landing page. How were the offers labeled? If you read our post on the toughest questions surrounding Black Friday marketing, you’ll remember us talking about the percentage vs. price slash dilemma when labelling deals. We wanted to put this to the test and see what other businesses opted for this year. From our sample of emails, a massive 83% of businesses chose to use percentage discounts in their emails. This is super interesting to us and definitely something to consider when planning future promotions. When it comes to the actual percentage discounts, the results were varied, with businesses offering anything from 15% up to 70% off! However, there was a clear winner, as 21% of our sample chose to offer a discount of 20% to customers. 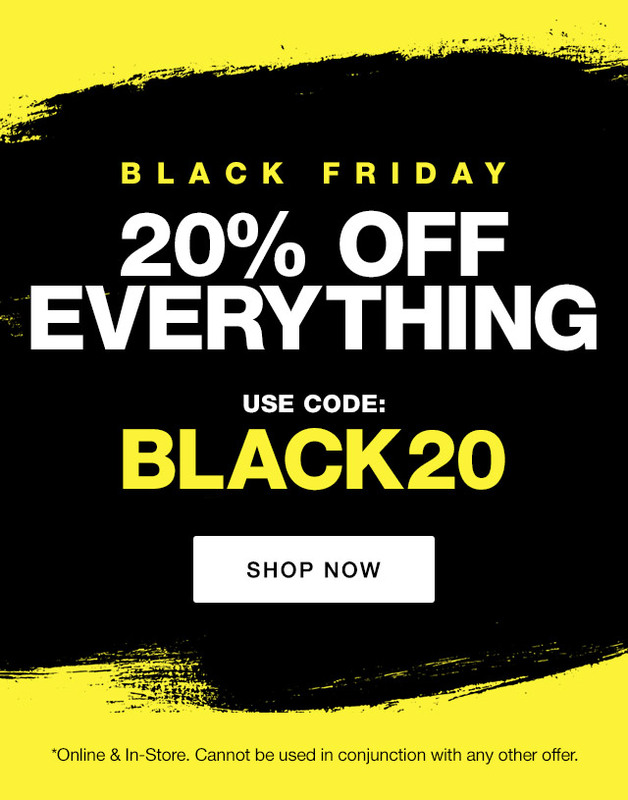 Superdry was one of the brands which went for a 20% discount. We hope you have found the results of our post Black Friday research interesting, and that you will use them to your advantage when planning next year’s campaigns. For now we advise you all to take a break from the chaos and regain your strength before the Christmas rush!